Persephone, a senior in high school thinks everything is normal in her life. That is until she finds out she's a goddess. After a failed attempt by Boreas, the god of Winter, to abduct Persephone, her mother is forced to tell her that she's a goddess. Not wanting to risk her daughter's safety, Persephone is taken to the Underworld for protection. Still reeling from discovering her life isn't what she thought it was, she's having to deal with the major changes in unfamiliar territory. She gains new friends along her journey, one of which is Cassandra. She's a girl about Persephone's age that is able to see the future. I figured there would be a dash of a romance and was wondering how that would work out since this is a YA/NA story. 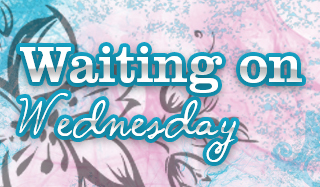 While there is a tiny bit of love element in this book, it's definitely on the back burner. Persephone is a YA retelling of Greek mythology. There were some differences from the mythology vs this book, which I was happy to see. I liked how the Underworld was expanded upon, we got introductions to the people that keep it running smoothly. I also enjoyed that the Underworld wasn't portrayed as how we think of it, all fire and the devil. 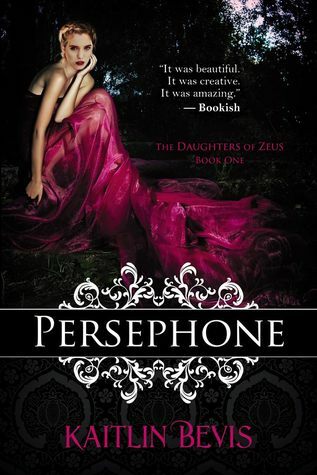 Persephone's character was pretty down to earth, which relieved me since I have issues with that in YA sometimes. All in all, I really enjoyed the book and suggest it if you're looking for a YA/NA mythology retelling. This actually sounds really good! I love the Hades and Persephone lore. I'm going to have to get this! Yep!! I have the same issue most of the time. The cover caught my eye and then I was like oooh mythology! I love mythology so I confess that this one really intrigues me! It's always nice to have a story like that! thanks for the review! I love mythology, but I'm not a big fan of YA. I'll read some of it, but if there is too much angst, I can't read it. This one didn't sound like it had too much. There's not a whole lot of angst in the book, but there is some.